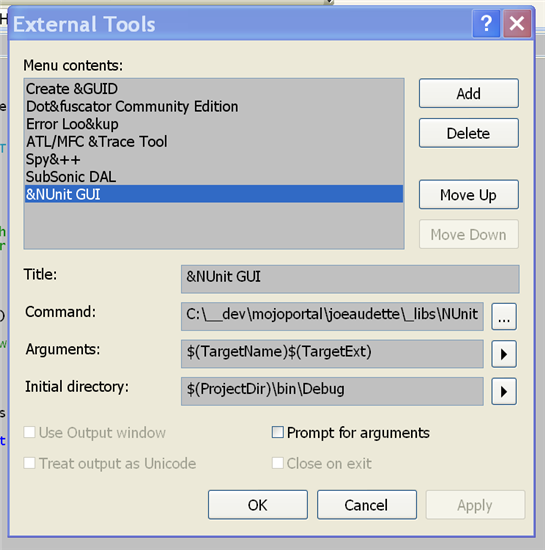 This information intended to be helpful for developers working with the mojoPortal Source Code in Visual Studio 2008. 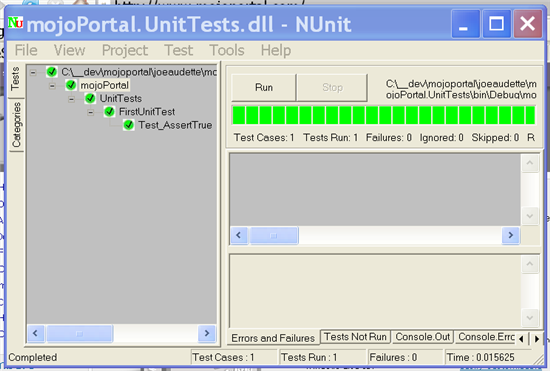 Now if you open any file in the mojoPortal.UnitTests project (just to make it the active project) then you can choose Tools > NUnit GUI to launch NUnit and run the tests. So as of this writing I haven't yet written my tests for the PaymentGateway code but now I'm setup to do so and thought it would be good to make these notes about getting setup now while its fresh on my mind.